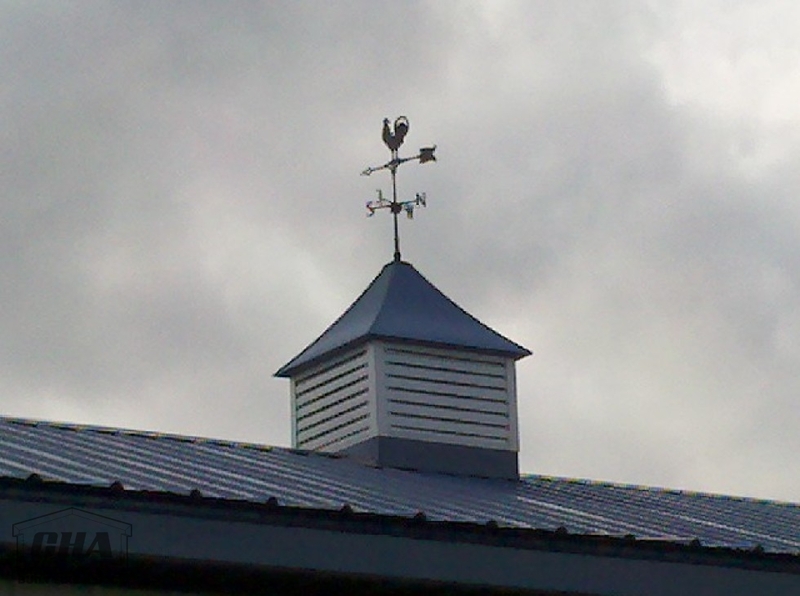 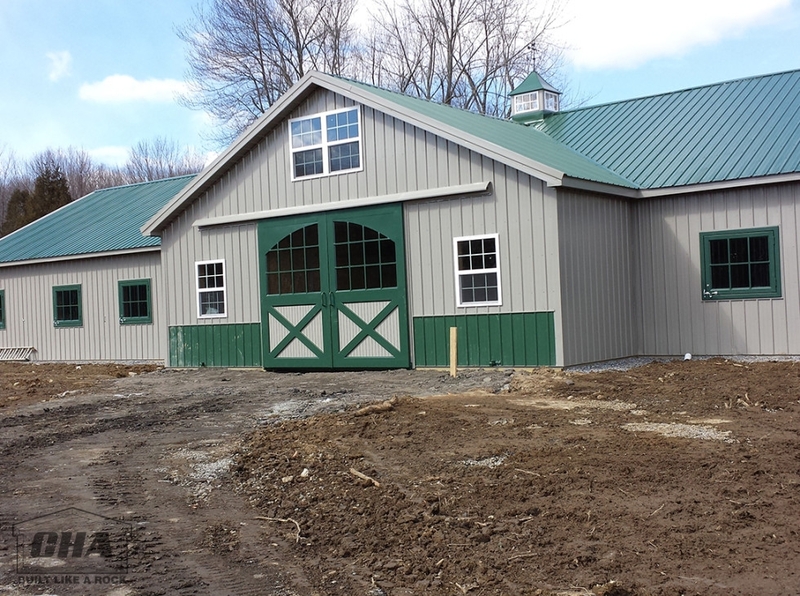 Use our barn color modeler to plan the color scheme of your pole building including the roof, siding, doors, trim and wainscot. When you see how your pole barn, storage shed or pole building will look you can make better decisions on the colors so your building fits in with surrounding landscapes and scenery. 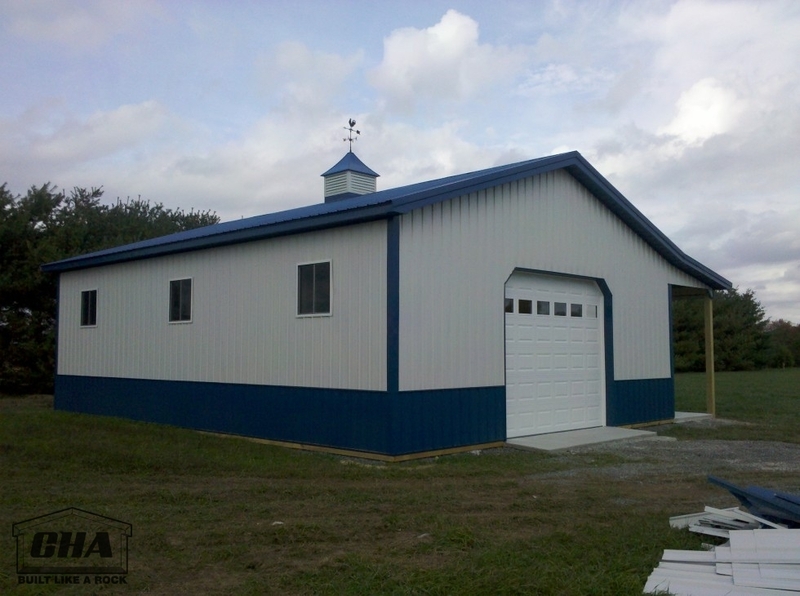 Choose from great pole barn building colors including charcoal, ivory, stone, crimson red and evergreen. 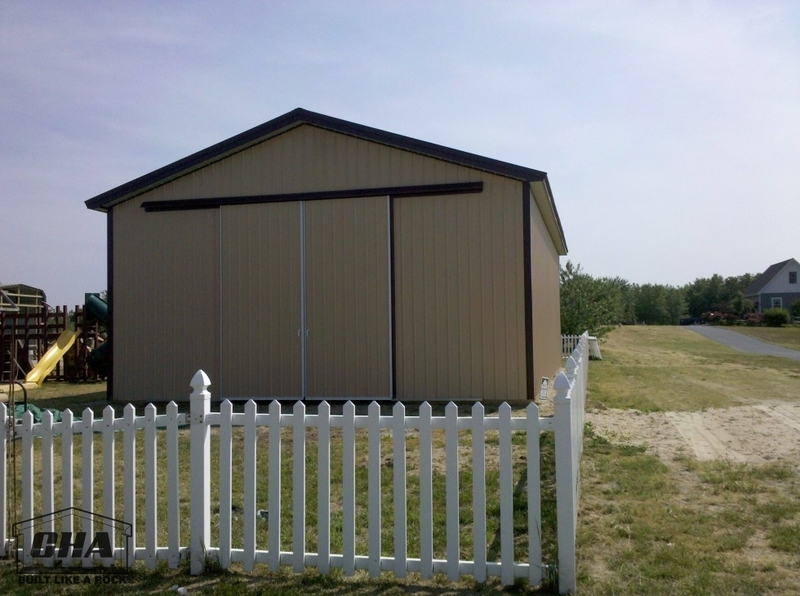 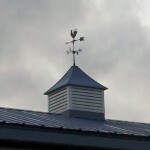 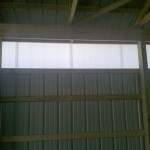 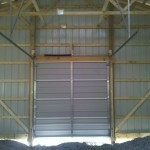 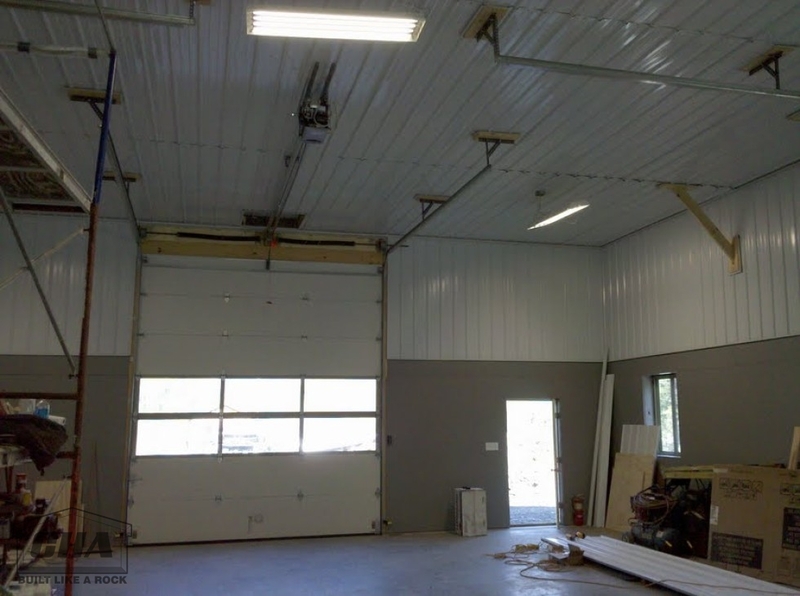 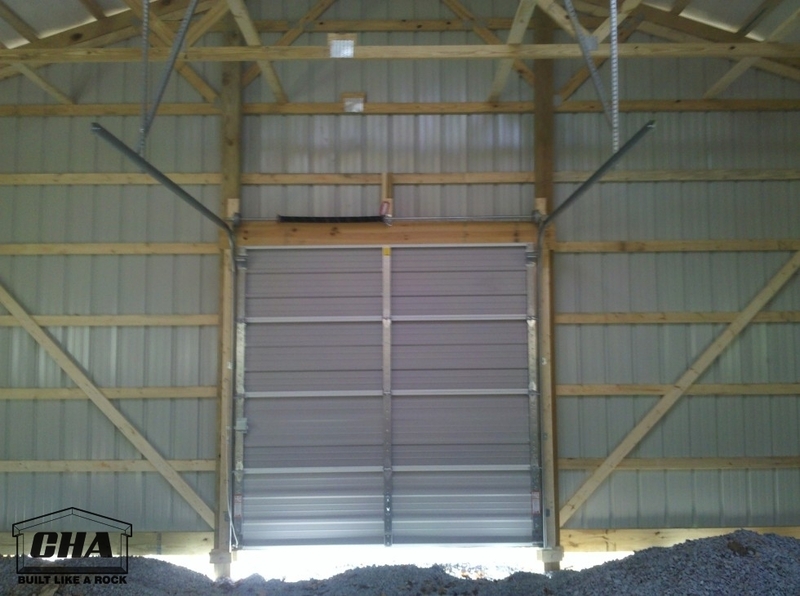 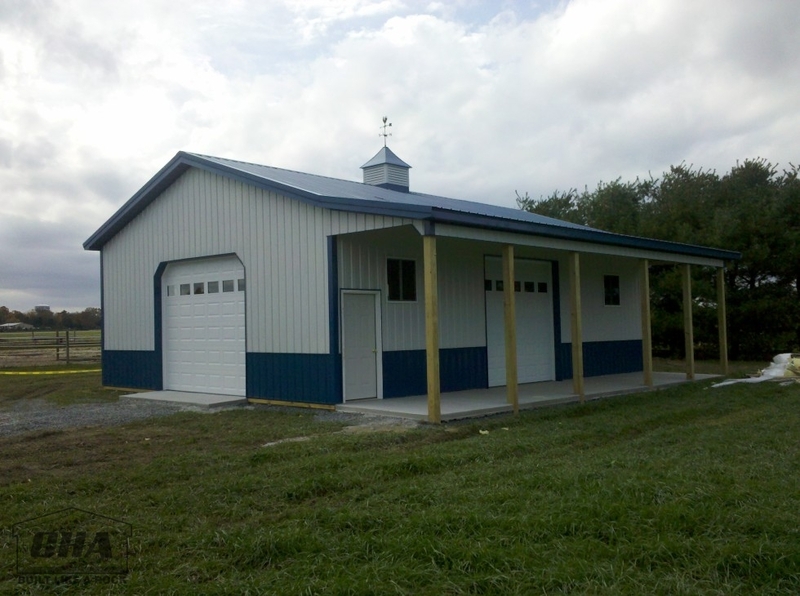 Plan a design for a pole barn kit you can build yourself or let our team of expert carpenters erect your pole building to ensure the highest quality construction possible. 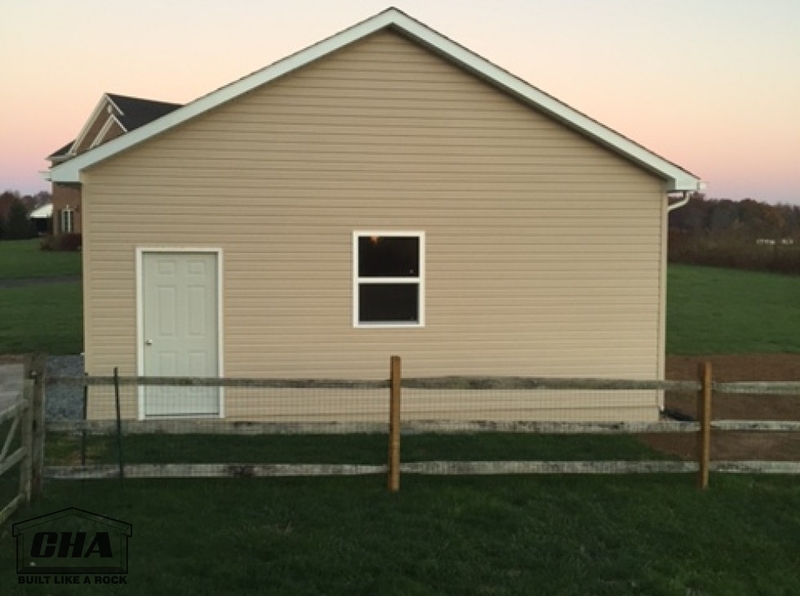 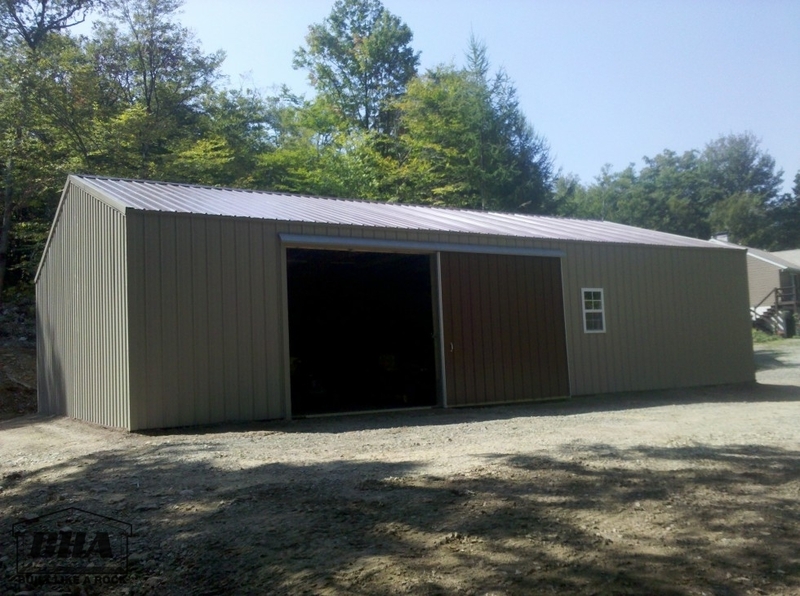 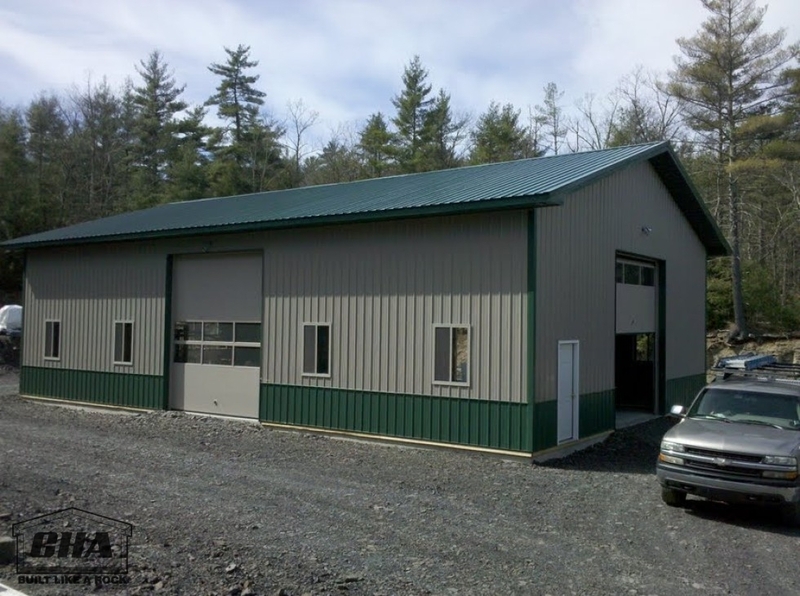 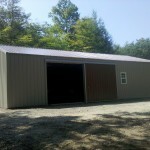 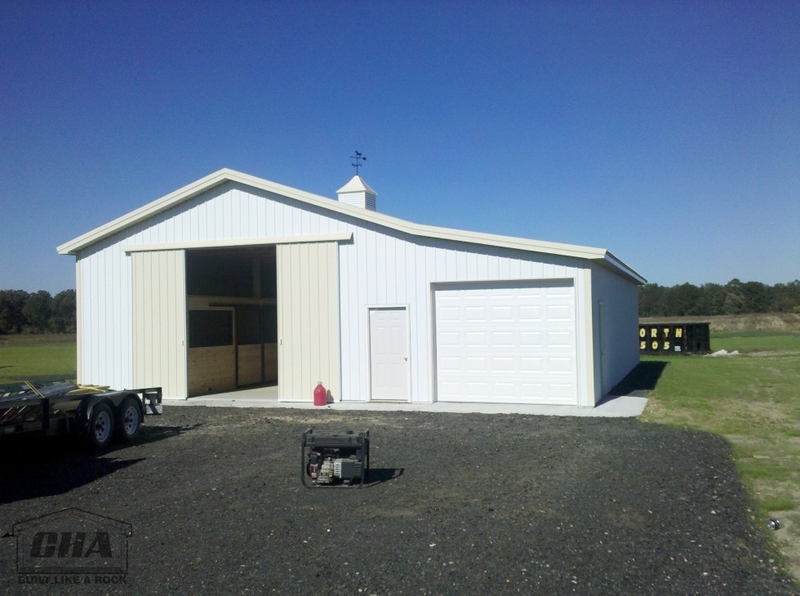 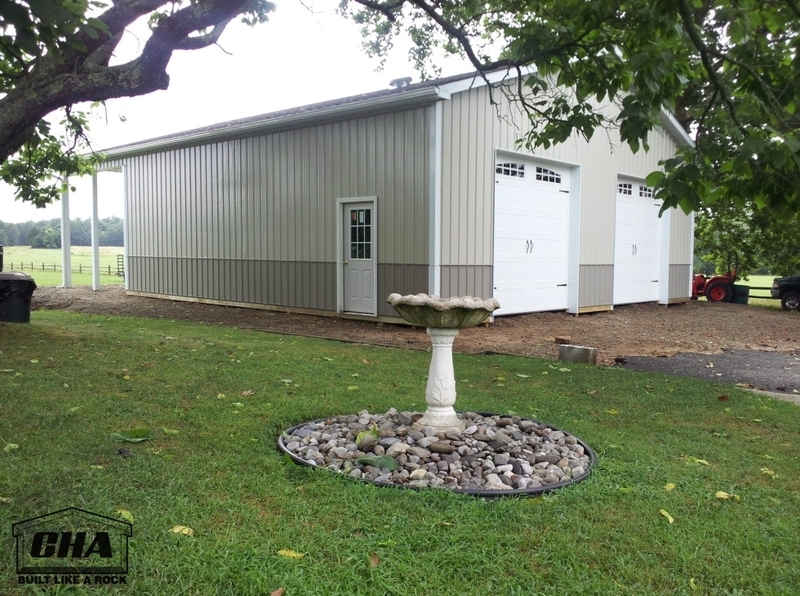 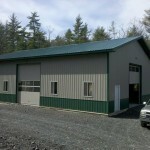 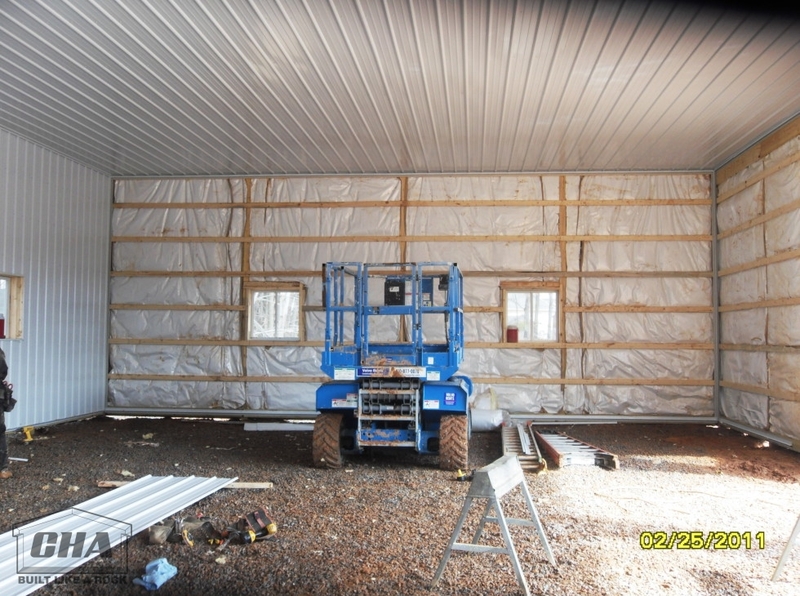 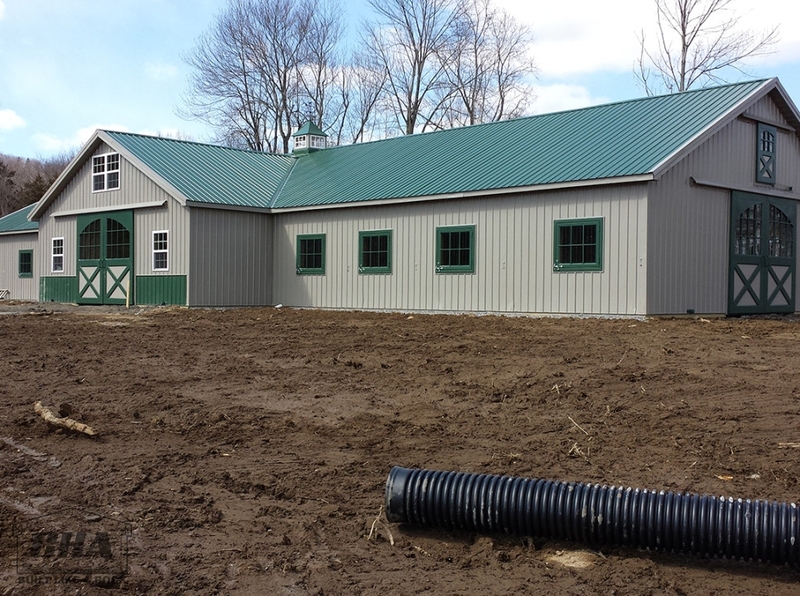 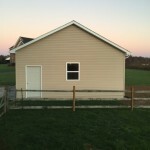 Able to travel throughout the mid-Atlantic region, CHA Pole Barns can handle large and small pole barn construction projects in Pennsylvania, Virginia, Delaware, New Jersey, Maryland and West Virginia. 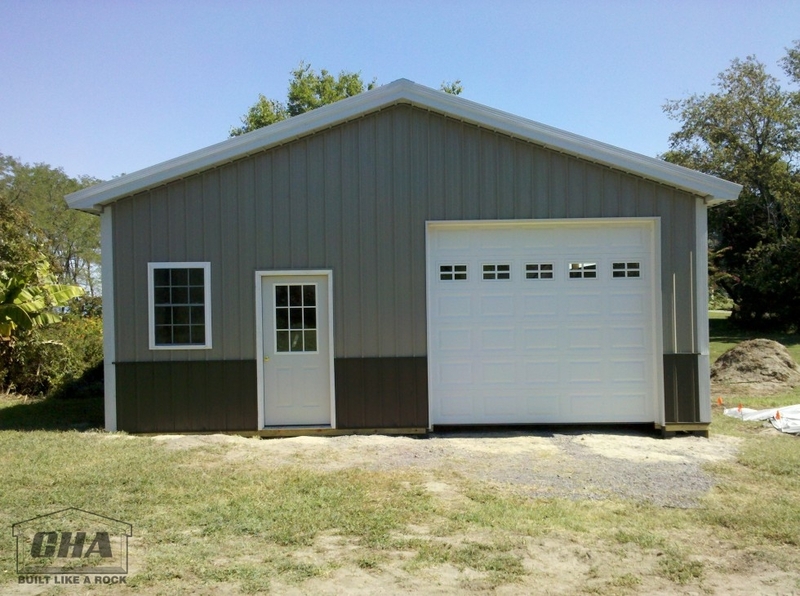 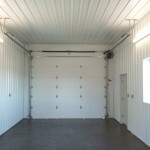 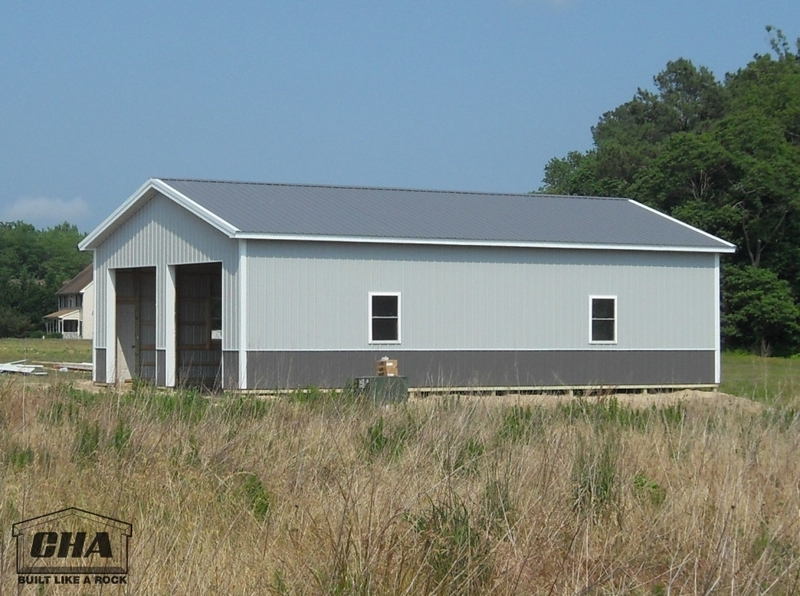 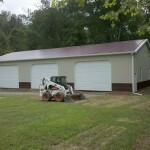 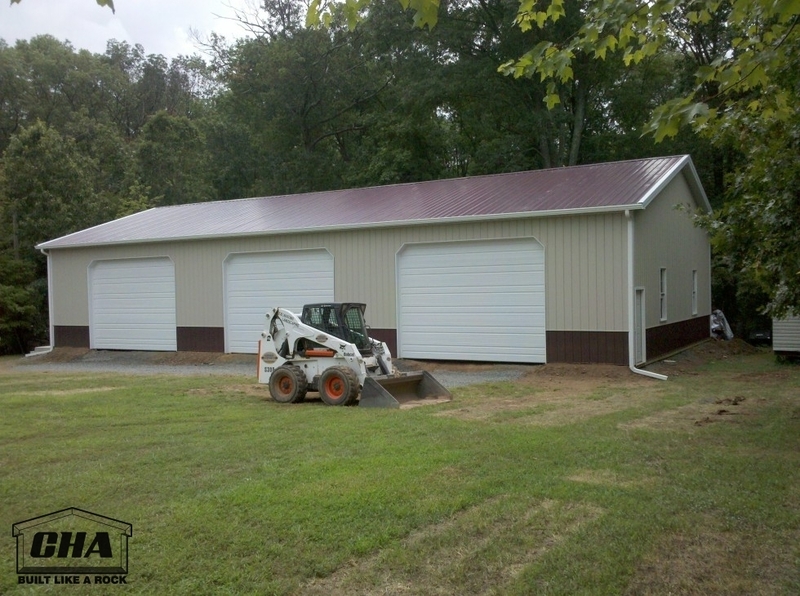 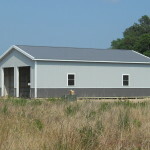 From small run-in sheds and equipment storage buildings to retail shops and homes, CHA Pole Barns has the experience and skill to provide you with a durable pole barn building that will last. 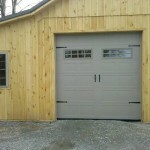 Garage doors come in many different options, sizes, and colors. 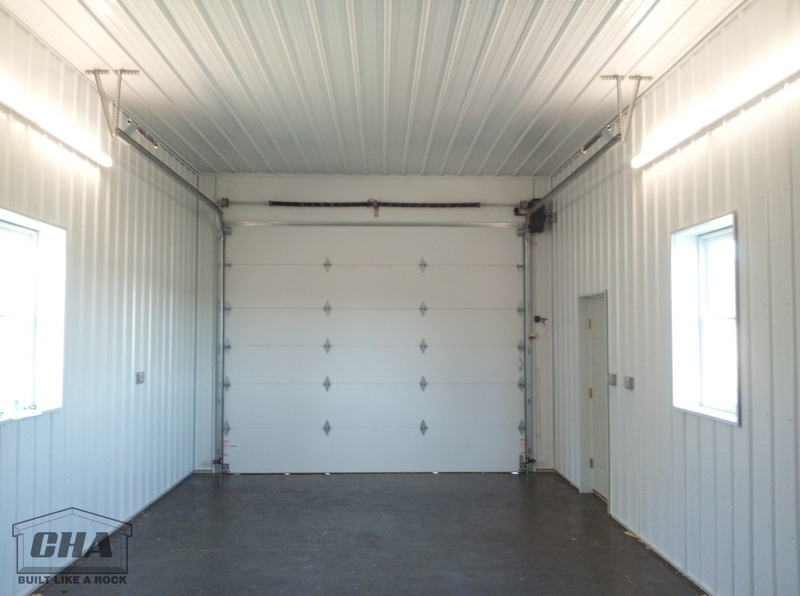 and can be 2′ shorter than building height. 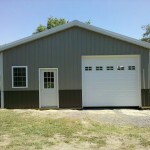 Are built on site and can be within 6” of building height, but cannot be more than one half of building width. 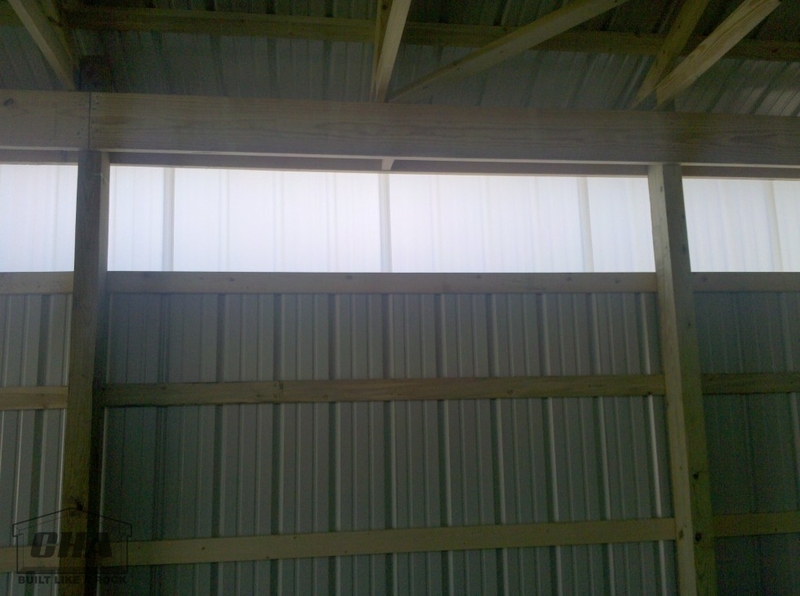 Eave lights are a good source of natural lighting and are positioned on the top two or four feet of your side walls. 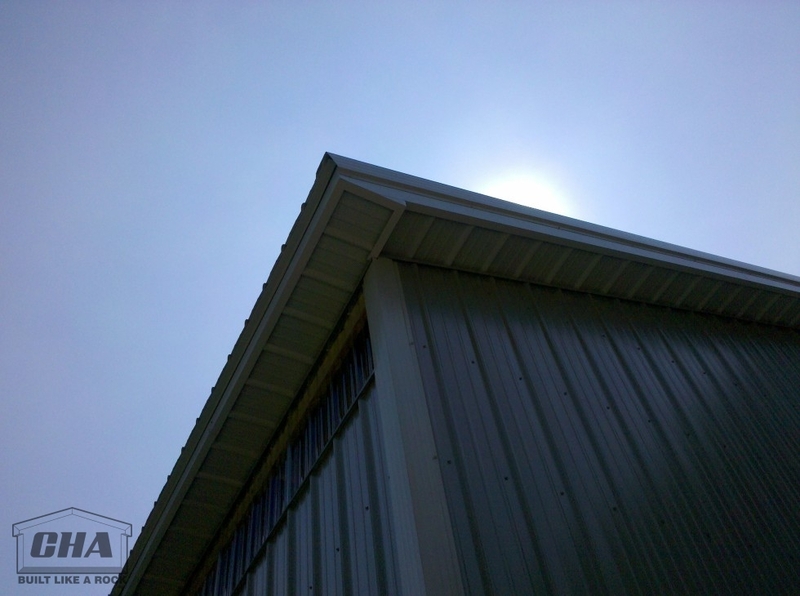 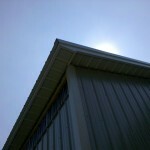 Roof Overhangs are available in 12”,18”, and 24”, and can be installed on eaves or/and gables. 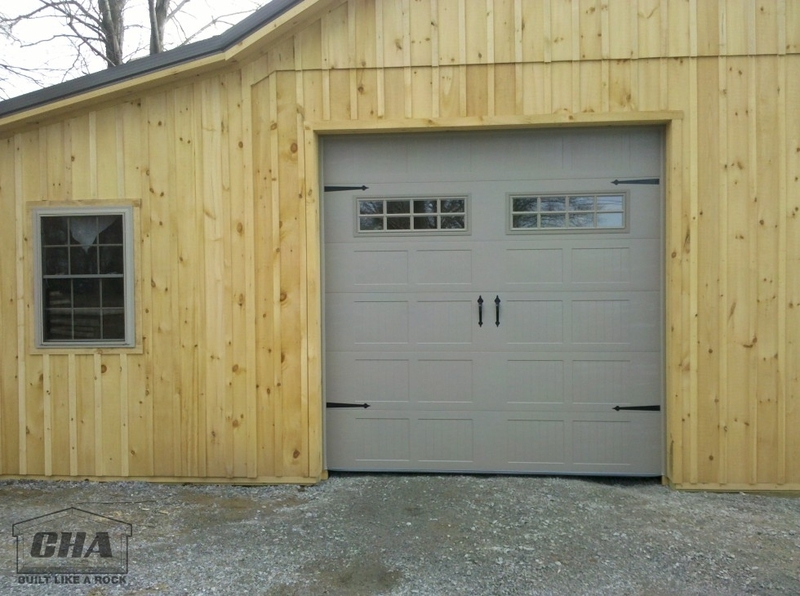 Our Standard siding is painted metal with a 40 yr paint warranty. 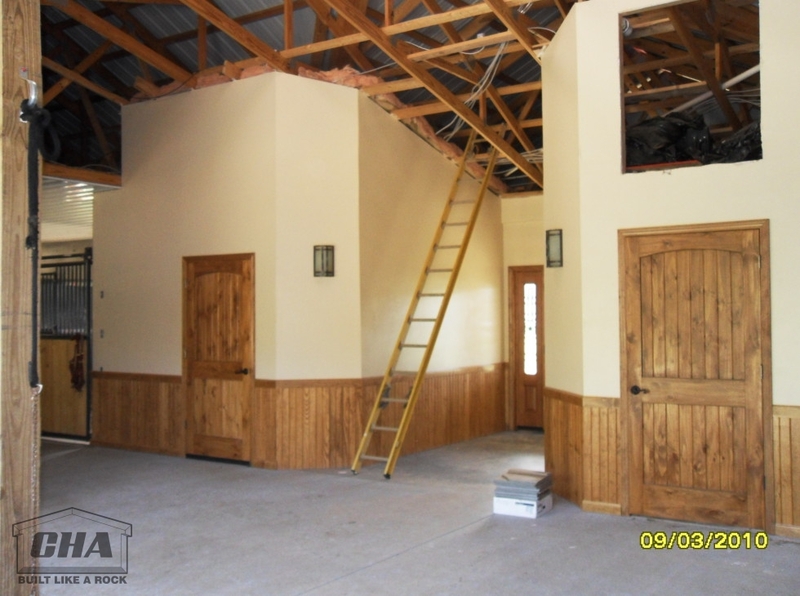 Wainscoting is an inexpensive way to dress you buildings appearance. 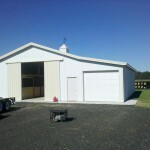 Another Option to Dress up your buildings appearance. 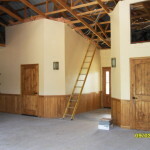 Interiors can be finished in many different finishes. 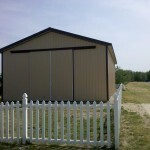 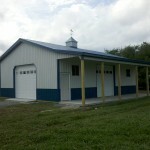 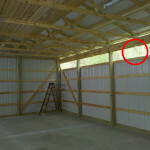 Porches are a unique way to break up your barns appearance and are available open or enclosed. 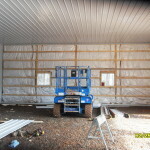 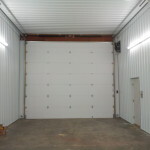 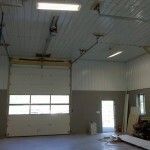 We offer insulation packages to go with your interior packages. 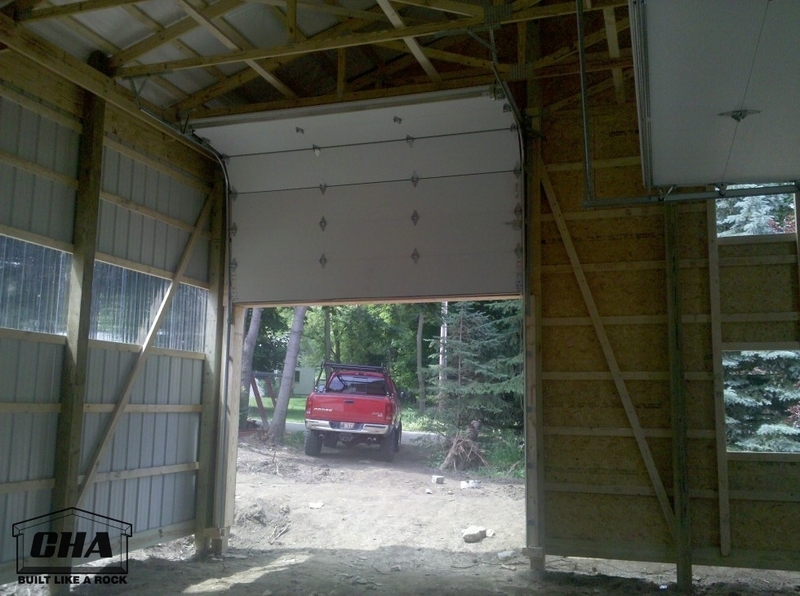 Available in R-19, R-13, and R-10. 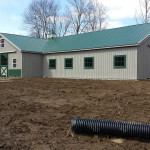 I just wanted to let you know how pleased my husband and I are so far with the building. 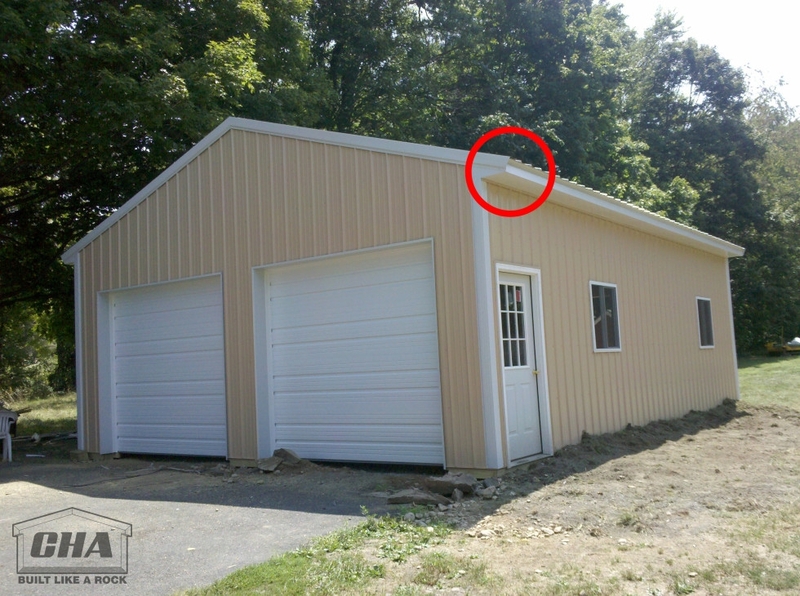 Also, your workers are very dedicated and hard working. 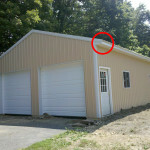 They were courteous and polite. 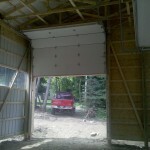 We are very happy with their work. 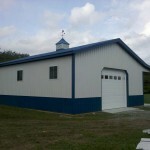 you should be so proud to have them on your team. 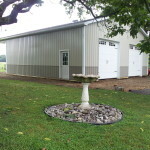 Please thank them again for us.